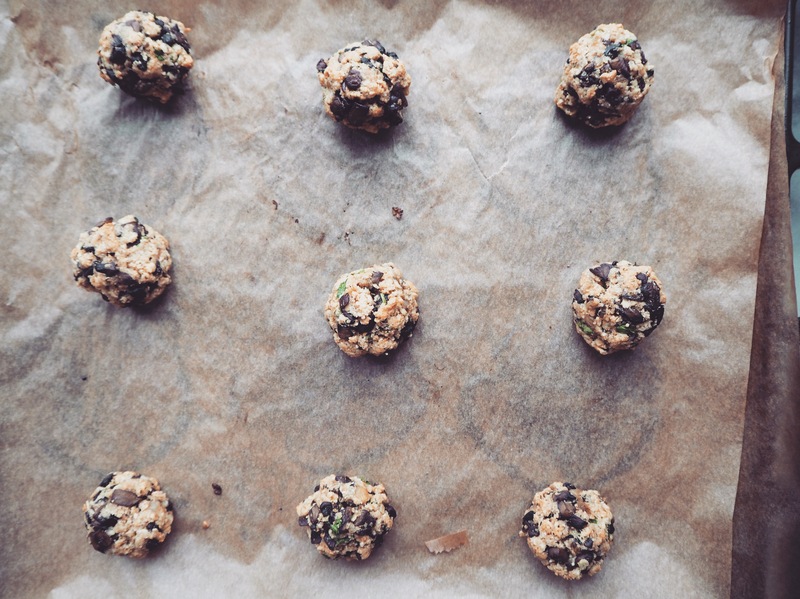 Mushroom Balls – No Meat In There! I know I know. I’ve been silent for far too long. It’s only because I’ve been exhausted from work. Last week I had the biggest catering ever – I fed 70 people 3 meals a day between 27-29 October, for Legal Design Summit’s side event Brainfactory. Preparing for it was a week long journey. And right after that, I had another catering gig for Aalto Studios. So yes, by Wednesday this week, I was feeling like a few massive trucks ran over me. 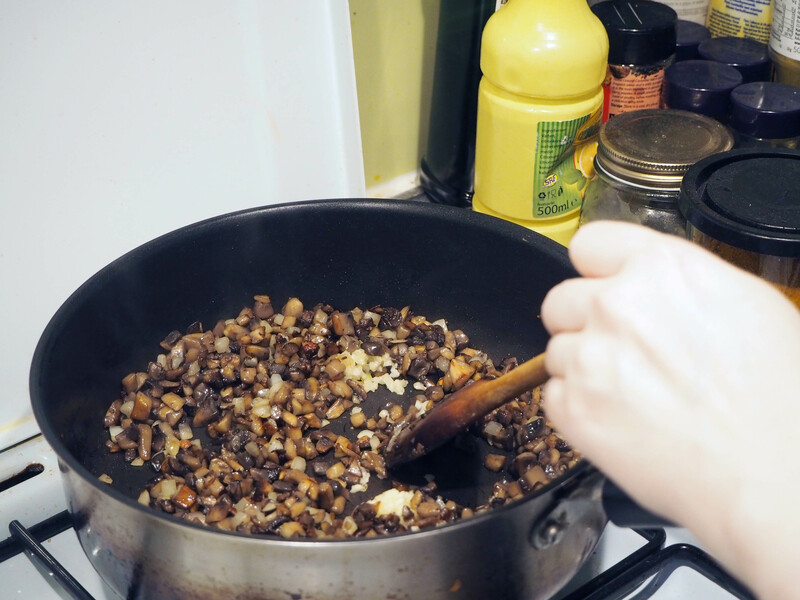 Anyway, today’s recipe is made of mushrooms! 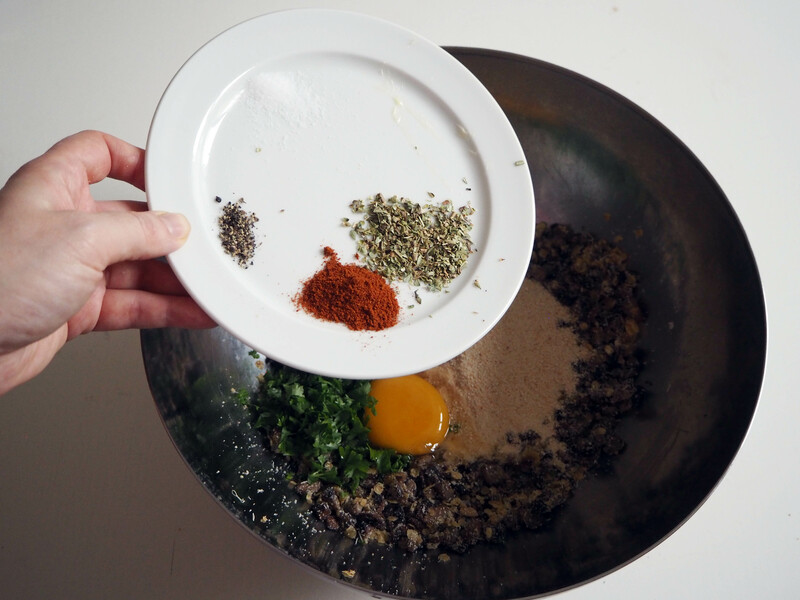 I’ve been looking to enrich my “portfolio” of no-meat balls and this recipe serves just that. 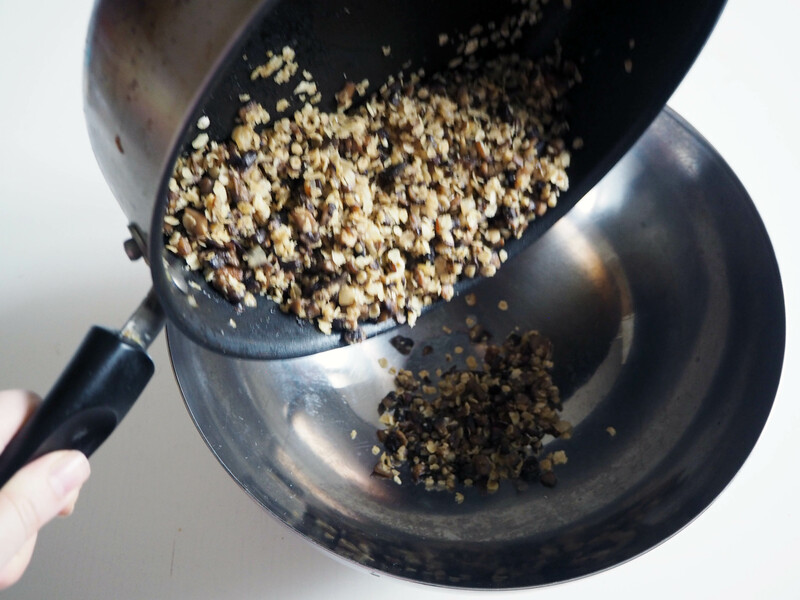 I adapted the original recipe from Food Wishes blog. 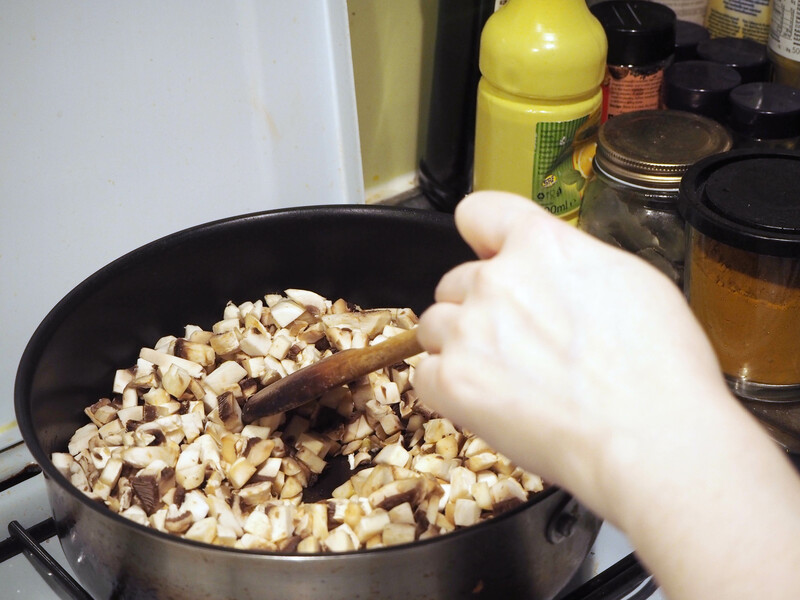 I changed some of the measurements and I used a mixture of shiitake mushrooms and white mushrooms. The original recipe also calls for tomato sauce to eat the balls with. 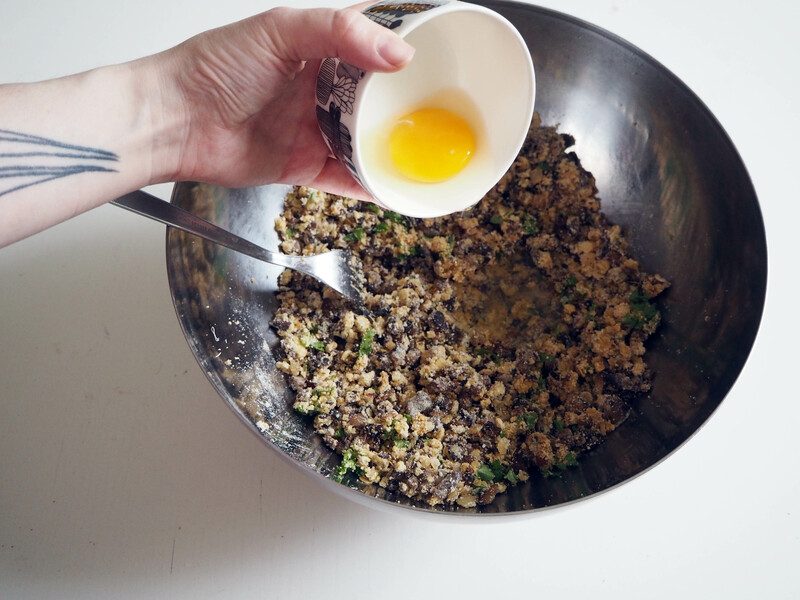 I did this in my first trial of the recipe and didn’t really like it. The balls tasted so much better without any sauce. But then, in my second trial, I used plain yogurt with the balls and that added a very nice touch. So I recommend either eating these balls without any sauce or with yogurt / yogurt based sauce. 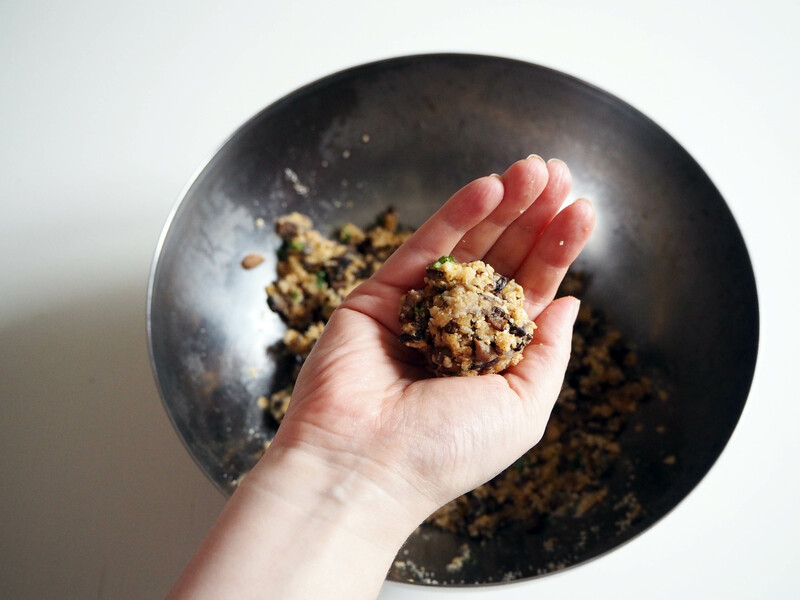 These balls also go very well with rice, buckwheat groats or even pasta / spaghetti. Yes, I tried them all! So I do recommend having one of those as side dish. Enjoy! 1. 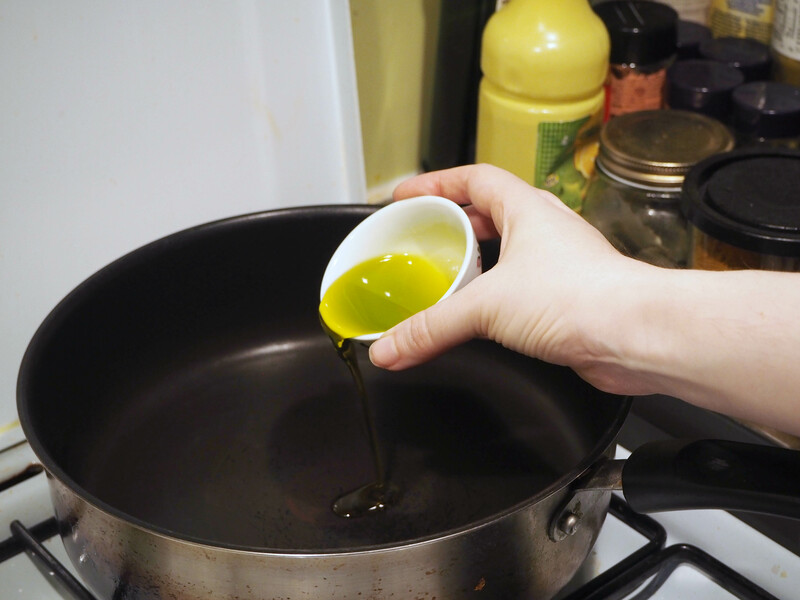 Put olive oil in a pan and warm it over medium high heat. 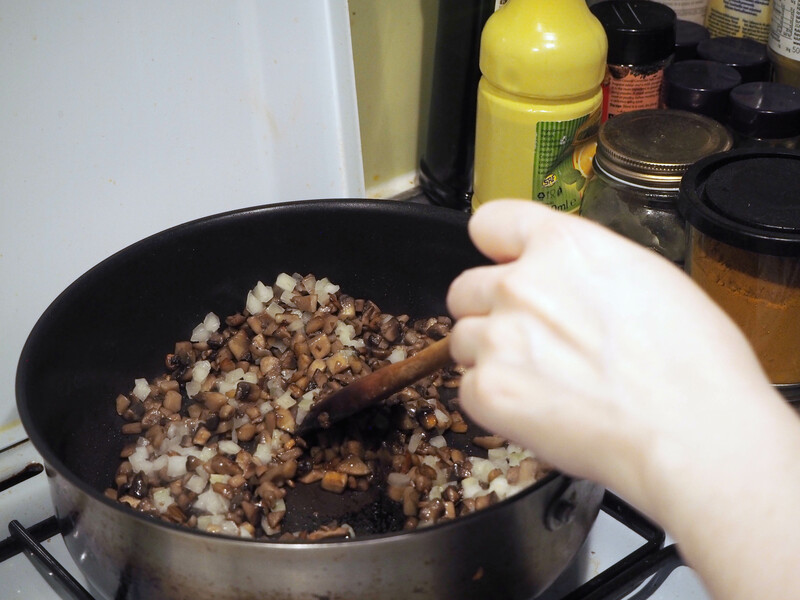 Add mushrooms and a generous pinch of salt and saute them until they start to get brown. 2. 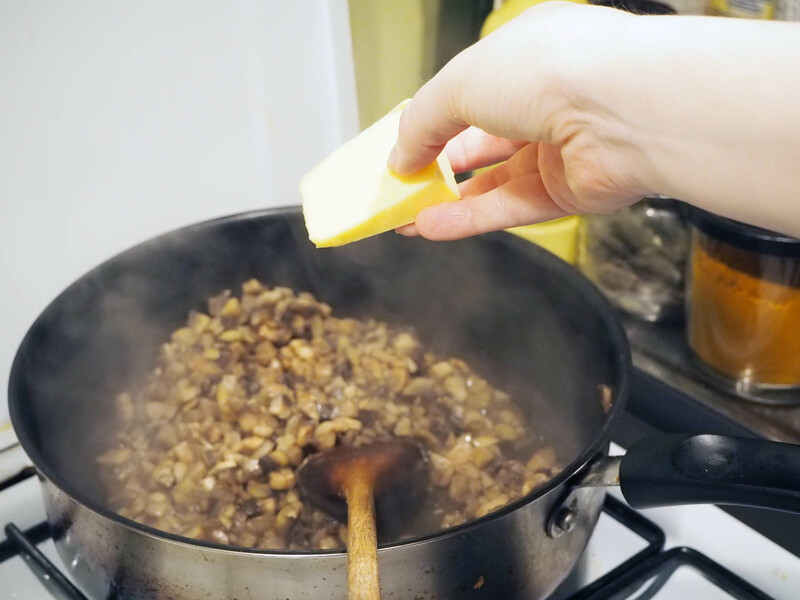 Add butter and onions and continue to saute the onions for a minute. 3. 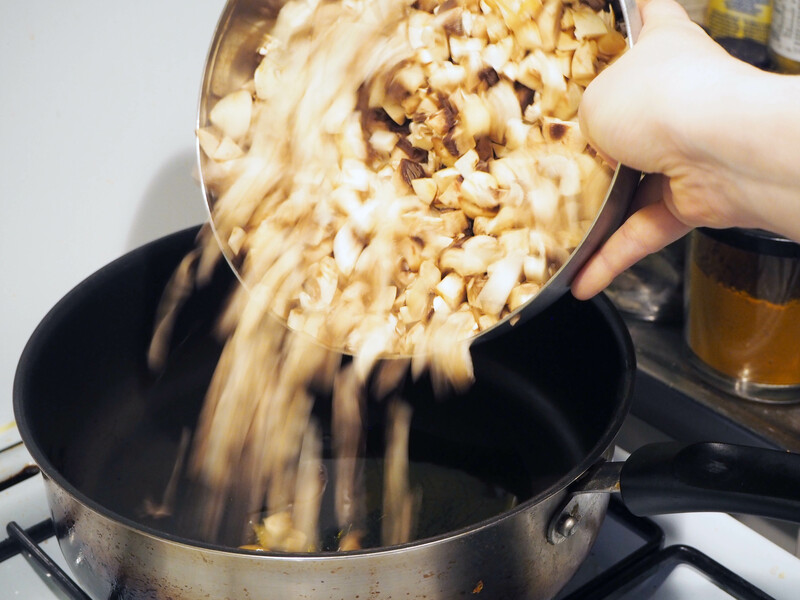 Add garlic and continue to saute them for 4-5 minutes, until mushrooms get really brown and the water is absorbed, but be careful and do not burn them. 4. 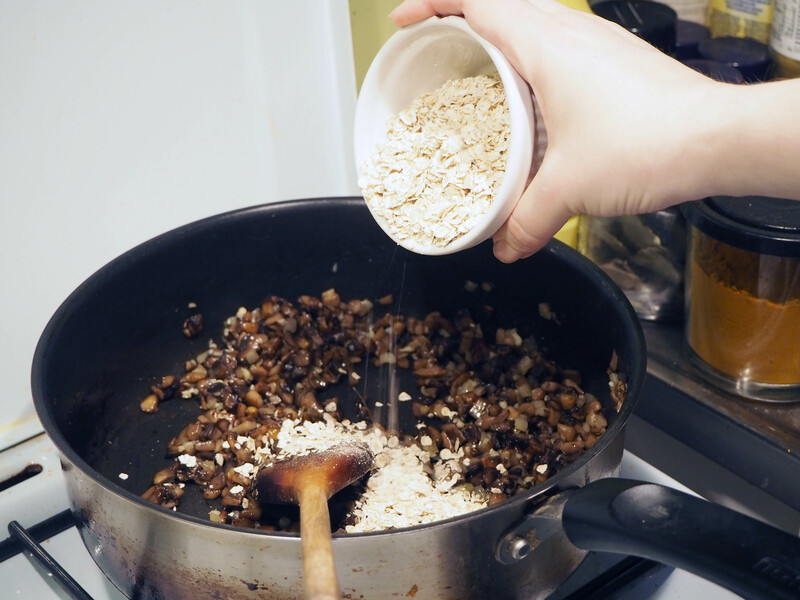 Turn down the heat and add rolled oats. 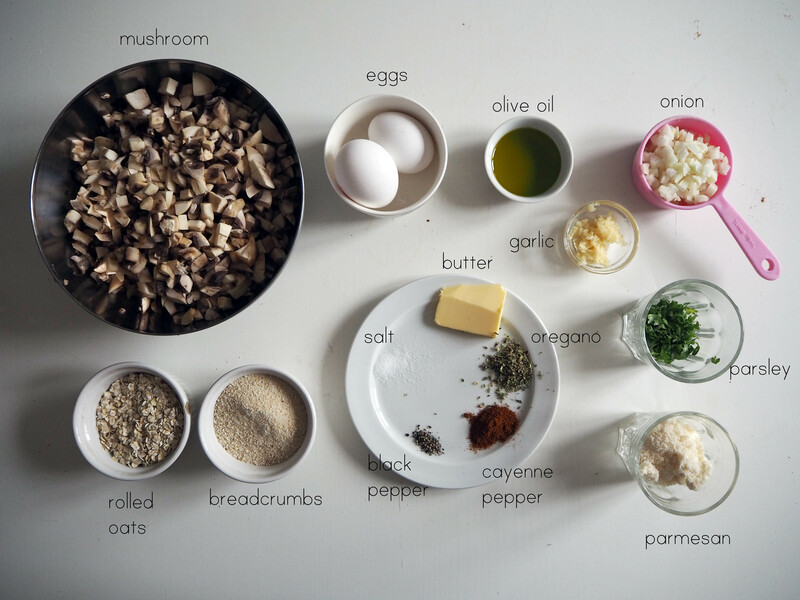 Mix them well with mushrooms. 5. 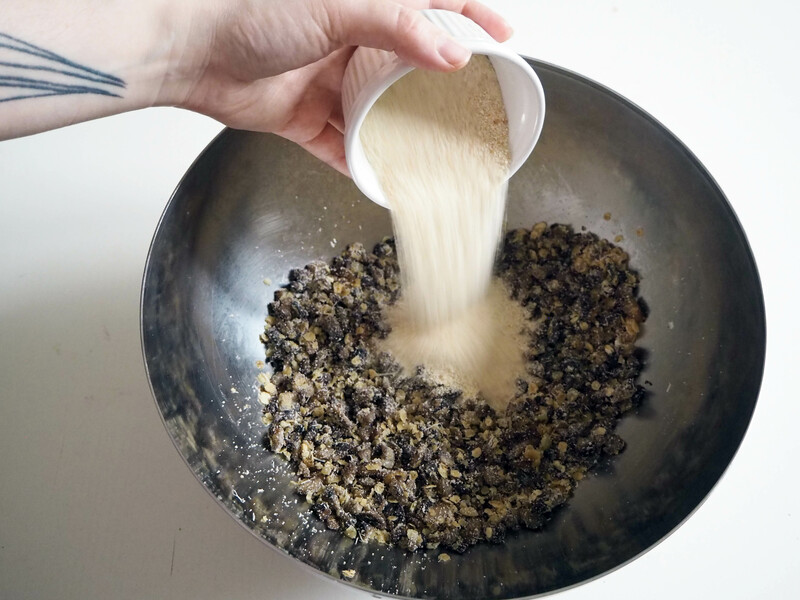 Transfer the mixture to a mixing bowl. 6. 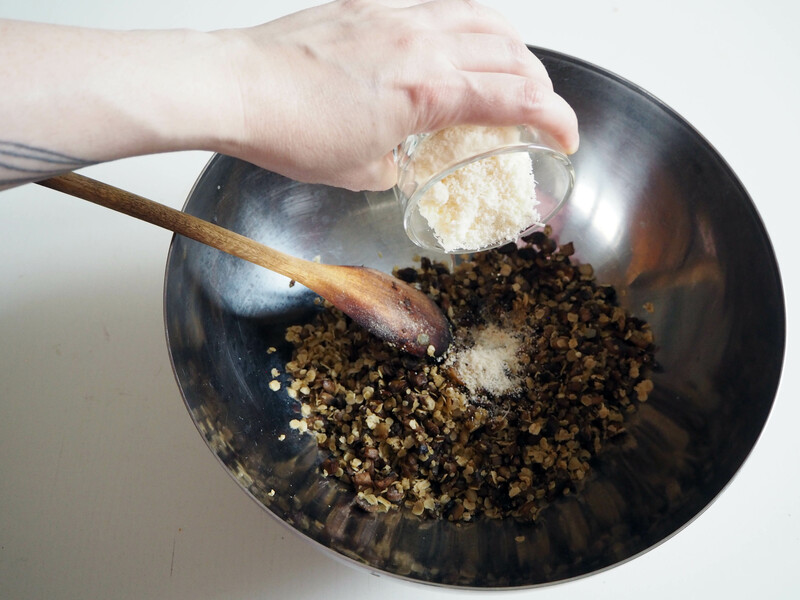 Add parmesan and mix. 7. 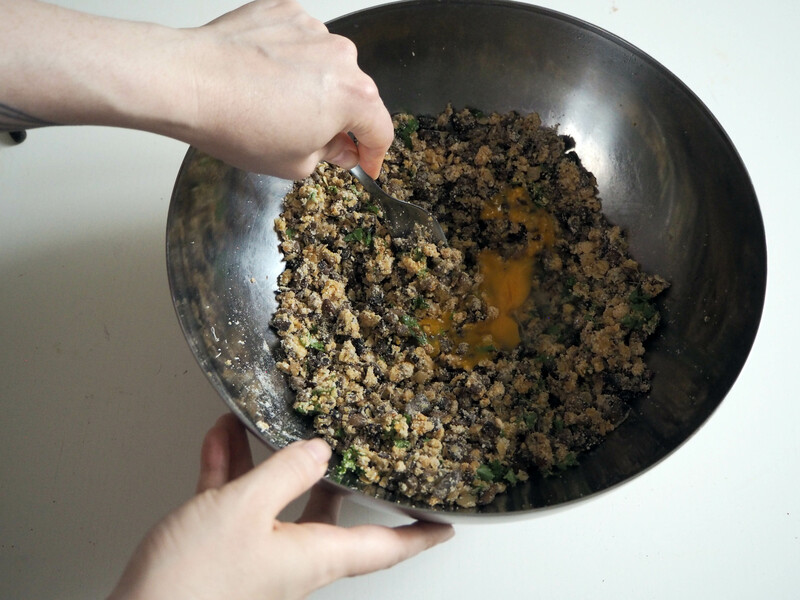 Add breadcrumbs, parsley, 1 egg, oregano, black and cayenne pepper and 1 tsp salt, mix well. 8. 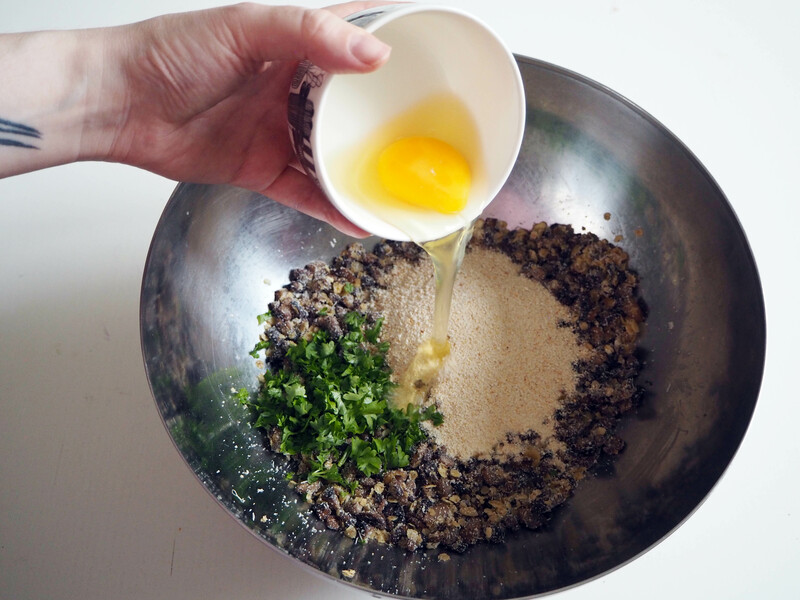 Add second egg and continue to mix all the ingredients very well. 9. 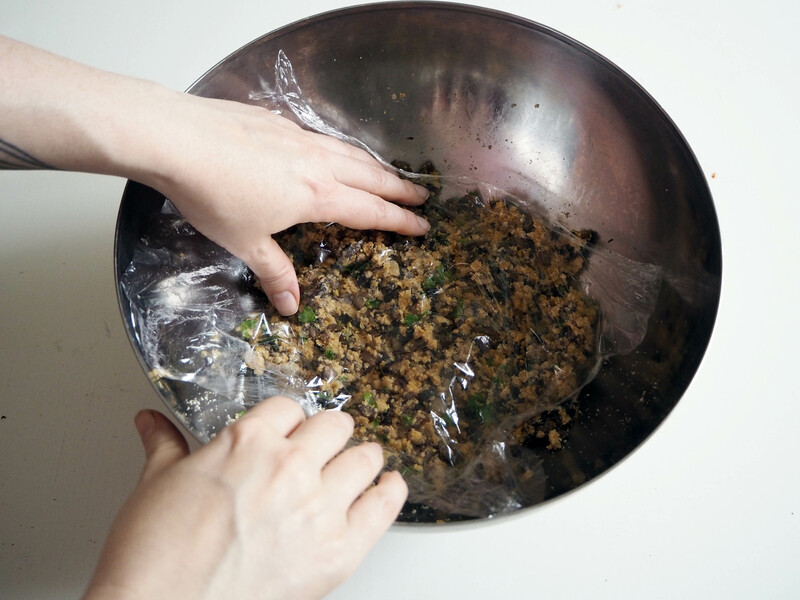 Cover the mushroom mixture with stretch film. 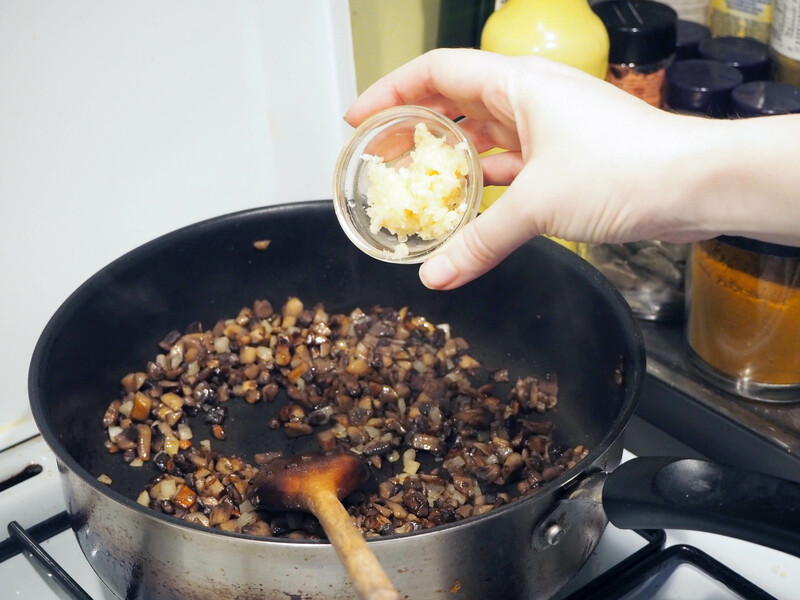 Let the film touch the surface of the mixture. 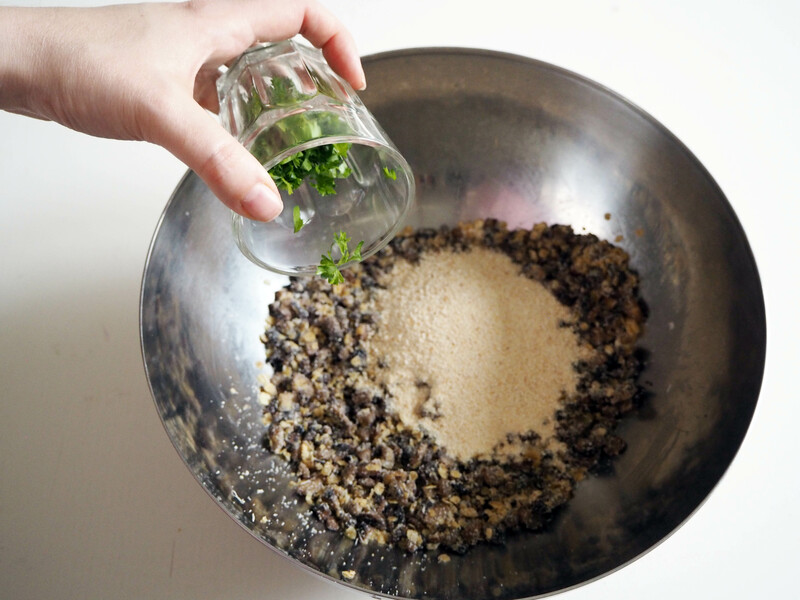 Put the mixture in the fridge for at least 4 hours, or overnight. 10. 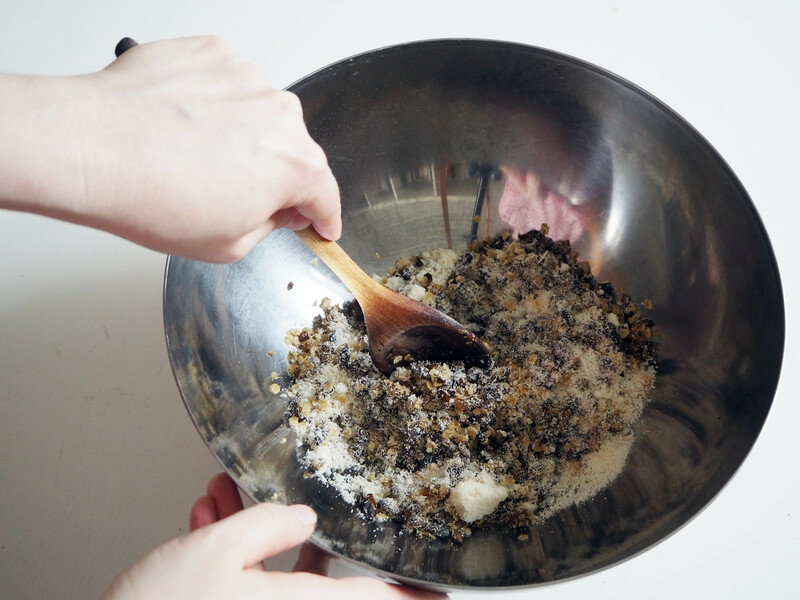 When enough time passes and you are ready to take the mixture out of the fridge, preheat the oven to 220C. 11. 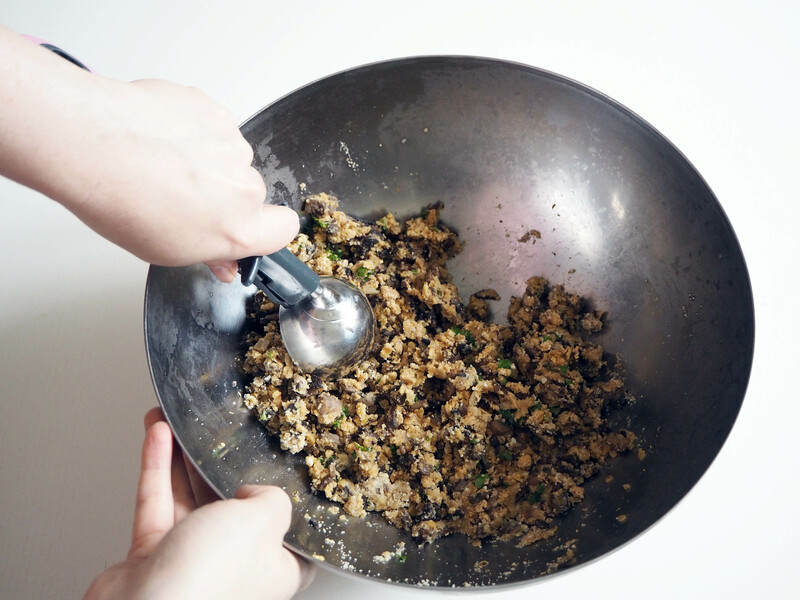 Take a spoonful of the mixture and turn them into walnut sized balls. 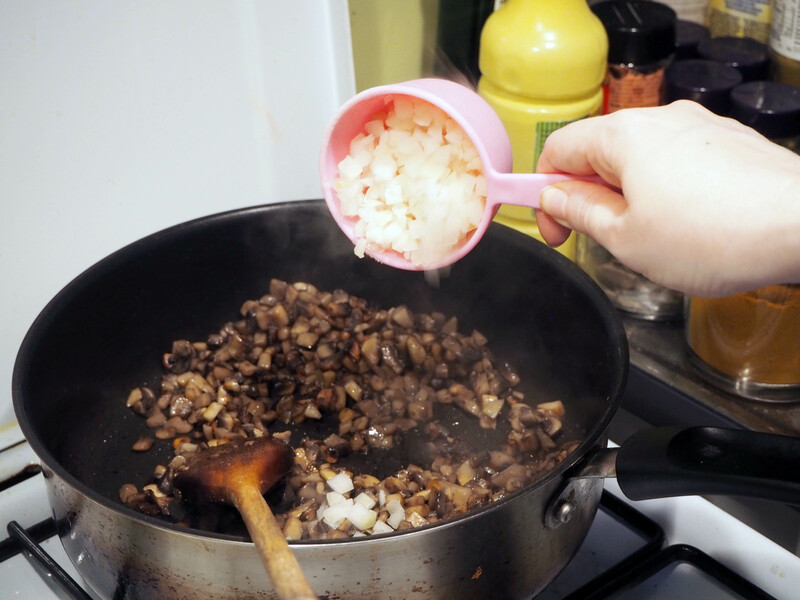 You can use ice cream scoop to be rather more precise or you can just use approximate measure, it’s up to you. 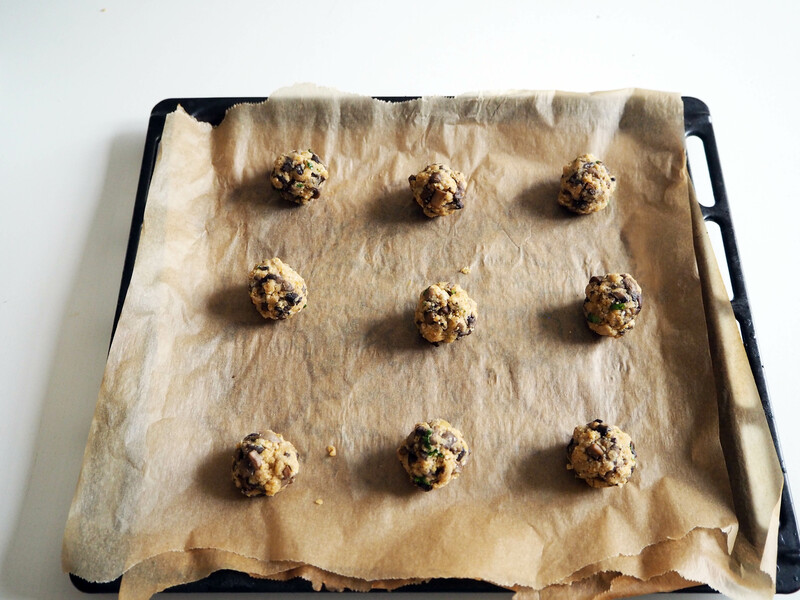 Put the balls on an oven tray with a baking paper. Bake in the oven, in medium rack, for about 15 minutes, until they start to get brown and baked well. 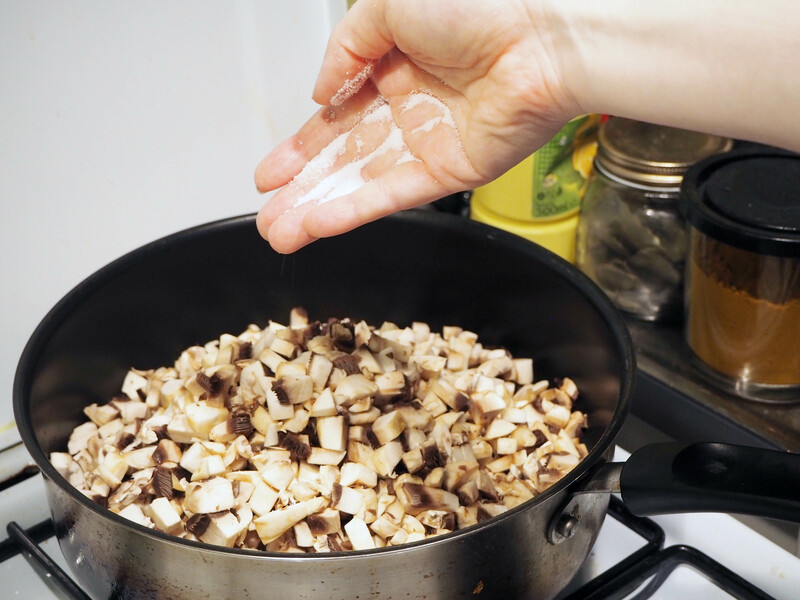 Serve fresh either plain or with yogurt sauce, together with a side dish such as rice or similar. Enjoy! These look delicious! 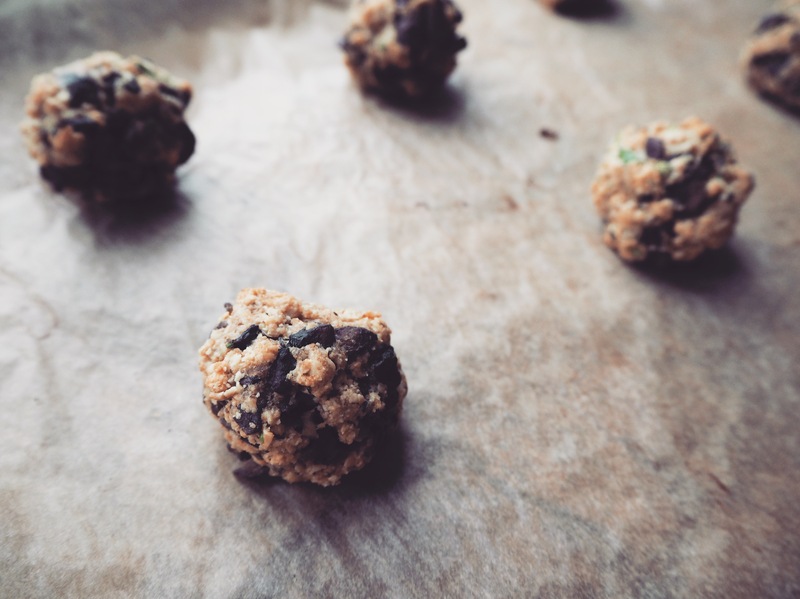 I have recently discovered your blog and promptly fell in love with it. 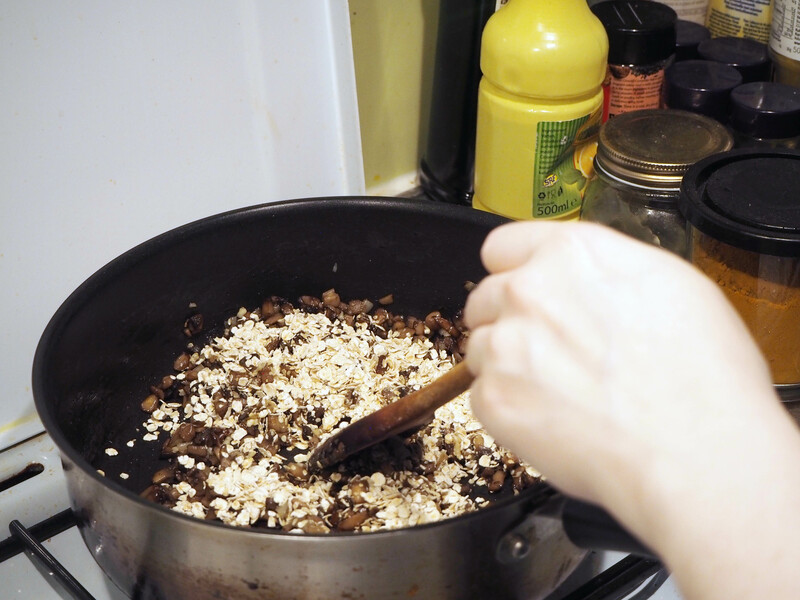 This recipe will be added to the queue behind the three soup recipes of yours I plan to make in the next two weeks. Thank you for such a lovely website. 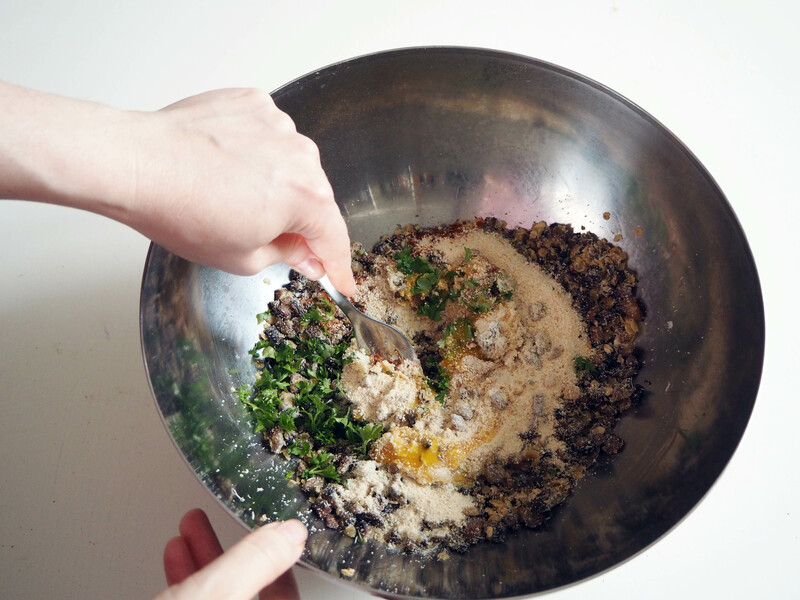 Next PostHaydari: Yogurt, Feta And Mint Dip – Perfect Mezze!